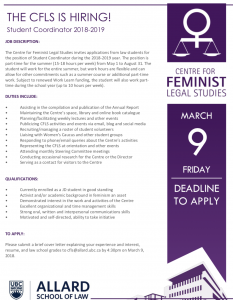 The Centre for Feminist Legal Studies invites applications from law students for the position of Student Coordinator during the 2018-2019 year. The position is part-time for the summer (15-18 hours per week) from May 1 to August 31. 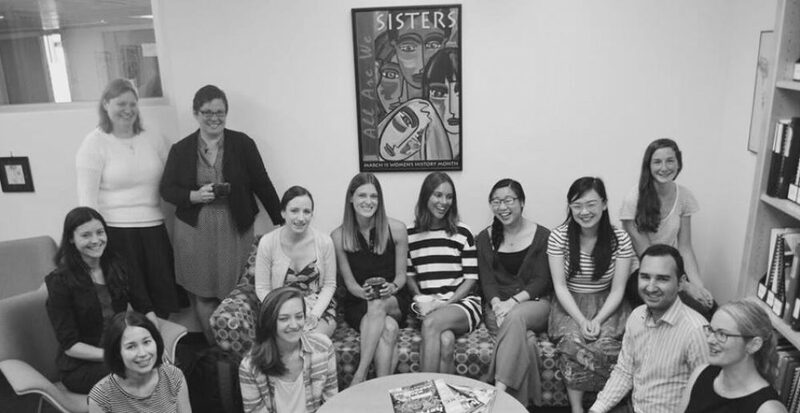 The student will work for the entire summer, but work hours are flexible and can allow for other commitments such as a summer course or additional part-time work. Subject to renewed Work Learn funding, the student will also work part-time during the school year (up to 10 hours per week).